Enjoy this tour around Andalusia with us and discover the most important cities and areas of the South! Visit Cordoba (or Caceres), Seville, and Ronda. You will also see the famous Mediterranean city of Marbella, Granada, ending this beautiful multi day tour with the visit of the medieval Toledo. Depart from the VPT Terminal to leave to La Mancha, then to head to Cordoba. The city tour will include a visit inside the famous Mosque / Cathedral,and the Jewish Quarter. Afterwards, you will trek to Seville where you will enjoy dinner and overnight stay. In the morning, we will begin with a tour of the city, including the Park of Maria Luisa, Plaza España, the outside the imposing Cathedral, and the Giralda. After a walk through the typical Santa Cruz quarter, you have the rest of the afternoon to spend at your leisure. We recommend to as an option, extend this visit to see the Alcazar. Breakfast will be provided prior to our departure to the Route of the Andalusian White Towns and Ronda. You are given free time in this beautiful Andalusian city and afterwards, you will continue to Costa del Sol. Enjoy dinner and overnight stay in Marbella. After breakfast, we will head along the coast to Granada. 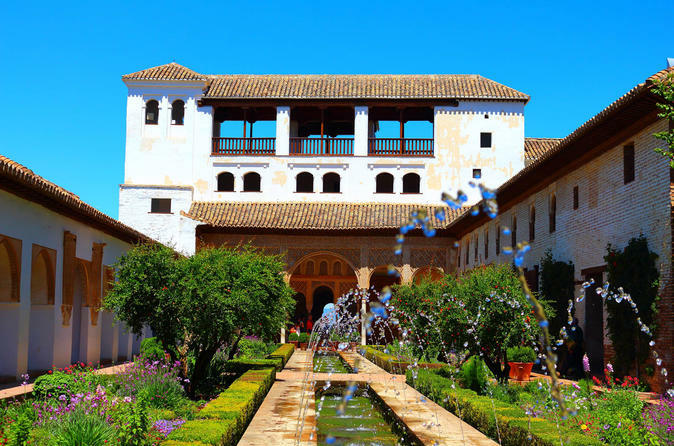 Upon arrival, visit the impressive monuments at the Alhambra with its beautiful Nazari Palaces, and the gardens of Generalife. Enjoy dinner and overnight. In the evening, you have the option to visit the caves of Sacromonte for the Zambra Flamenco Show. Enjoy breakfast, then depart towards the Imperial City of Toledo, to experience its history as the city of the three cultures, where Christians, Jews and Muslims lived in peace and harmony. Stop for lunch and do some city sightseeing throughout its narrow streets and monuments. Afterwards, head back to Madrid.